Bollywood portrays love story or marriage life very conveniently hence whenever a trailer consists of a couple as a lead, you know that there's nothing much going to happen with the movie. But it's good to find directors trying their hands on different projects such as Piku, Wazir, Airlift, Neerja etc. 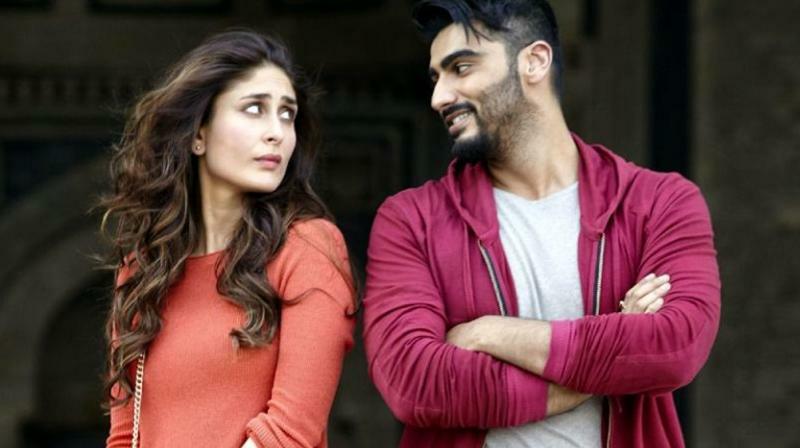 The trailer of Ki and Ka came as a fresh air for the Bollywood lovers as we expected it to be a stereo-type breaking sensible stuff. The movie also begins with some quick start with few meetings between the protagonists and they finally getting married. Here, the boy, with his own wish, decides to be a house-husband while the girl doesn't want her marriage to come in between of her corporate goals and dreams. Wife is proud of her husband while husband is also proud of her wife. As both are getting their desired life post-marriage. Tension starts creeping in when the househusband starts getting public's attention and at one point of time, he almost replaces his superstar wife in society. Now wife starts feeling jealous and she feels that he plotted the whole thing to get attention of people by introducing this term "Househusband" so conveniently in this society where people aren't used to it. Movie could have picked up even from here but it becomes just another Bollywood movie with its melodrama and illogical explanations. I also felt that inserting kissing and romantic scenes after every alternate scene isn't something which audiences like anymore. Even when the movie is just 126 minutes long, these scenes made it look as if half an hour had been wasted in such unwanted segments. The songs are wonderful and you are definitely going to jig at some of them. The dialogues in the movie are fine. You will love some of them as they are sensibly used. Coming to the performances, Kareena Kapoor still has the charm to entertain you with her great expressions and dialogue delivery. She can surpass many of today's actresses too. Talking about the Ka part of this movie, Arjun Kapoor again delivers a mediocre performance except one or two scenes where he becomes loud. All the other performances in the movie are also decent. The cameo of Amitabh Bachchan and Jaya Bachchan is the best segment of this movie and they look real while playing themselves. You will love that part. Overall, it's a movie which can win 2 stars easily but nothing more than that. It tried to be unique but it's not.